A few friends and I were planning to catch up on Wednesday this week and one of them suggested to give a place called Apache Spur a try. There was extra incentive to go too since every Wednesday all burgers on the menu were half price! 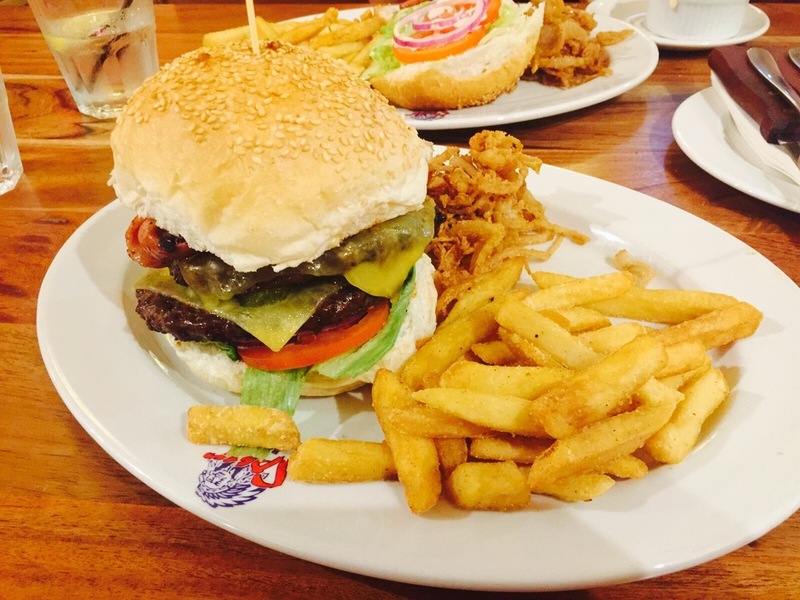 Apache Spur is located on the upper level of the Willeton shopping complex right next to Hoyts and is quite hard to miss. As the name implies, the venue is decked out in a native American Apache tribe motif from the wall paintings, tomahawk ornaments and teepees as lights. 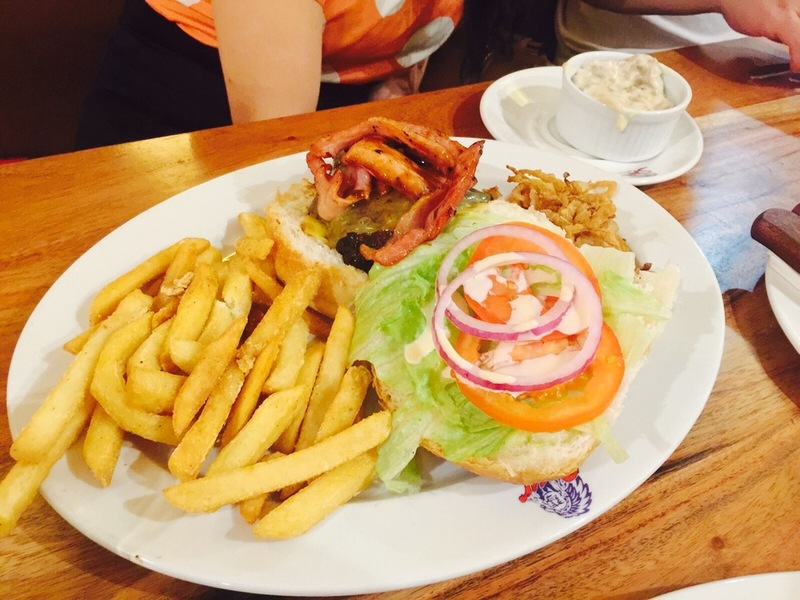 The menu has quite a selection to choose from across salads, sandwiches, steaks and burgers. I was ready for a challenge that night and ordered the Hunga Busta Stacked Burger. The burger was thick but wasn't difficult to eat compared to other stacked burgers. What I particularly enjoyed was that while it was juicy, it wasn't too juicy so that the bun became soggy. It came with a generous side of crunchy chips and onion rings. For half price this meal was definitely worth it and I was satisfied. There's plenty of seating available for any size group and I'm keen to try their other offerings sometime. 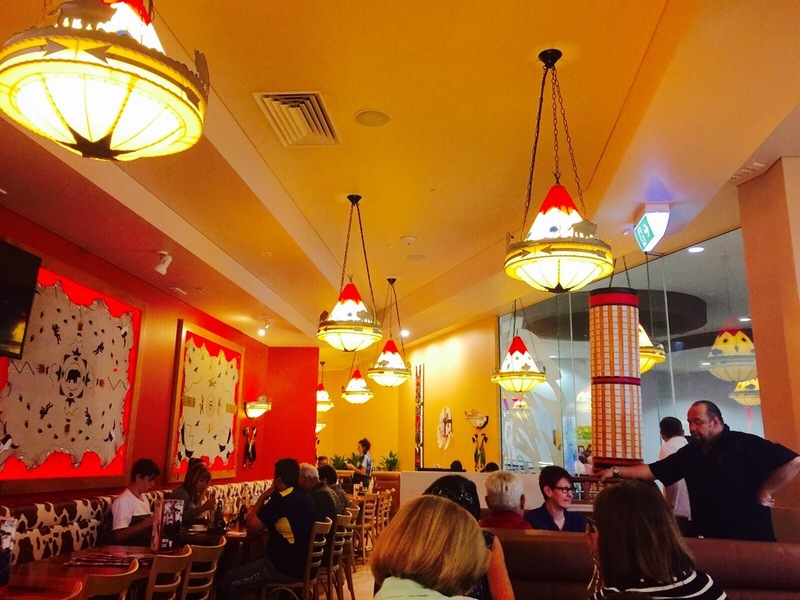 Spur is a great option if you're hungry before catching a movie at Hoyts or just want to catch up with friends. 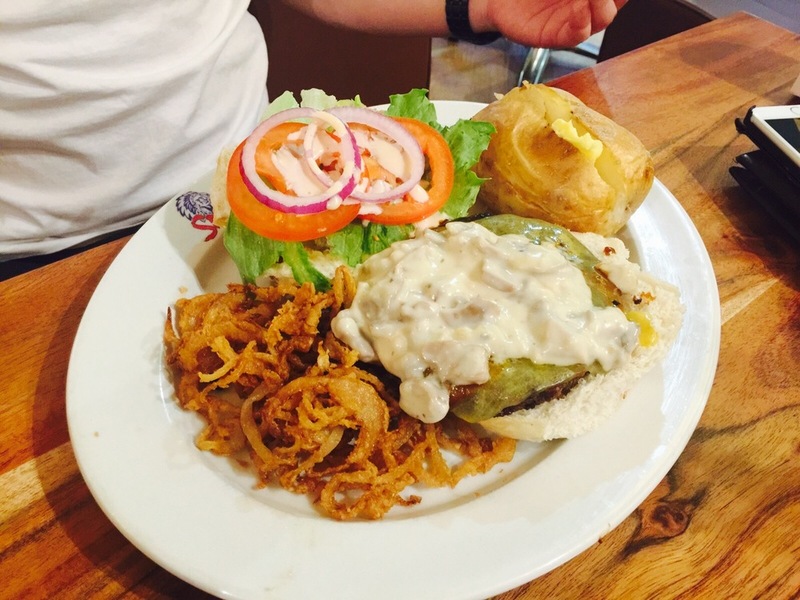 Good food with lots to offer.